Crest-shaped note cards made of premium white smooth 120 lb. cardstock. 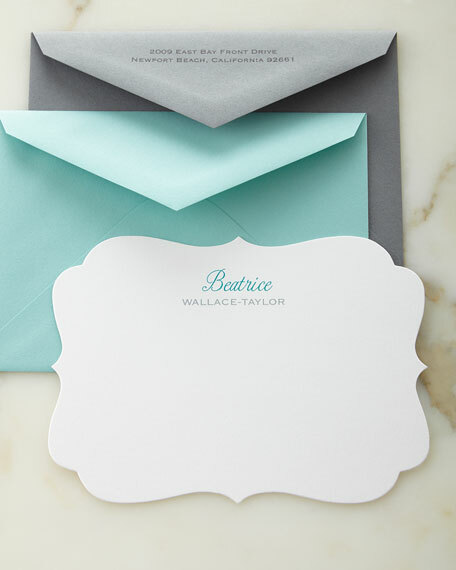 Envelopes available in Charcoal or Aqua. 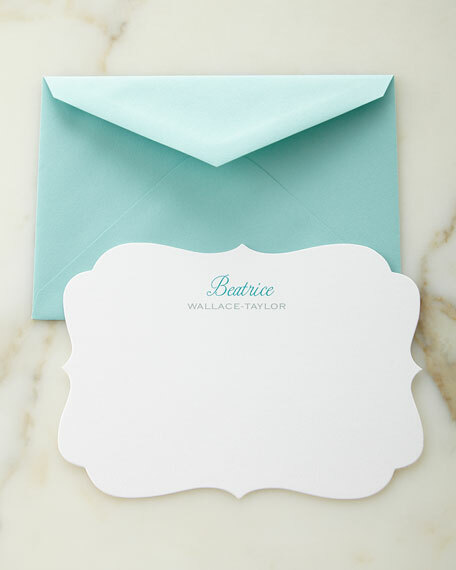 Personalization on cards is two lines (up to 30 characters/spaces for first line; up to 34 characters/spaces for second line) in style and color shown; personalization on envelopes is two lines (up to 30 characters/spaces per line) in style and color shown. Set includes 50 personalized cards and 50 personalized envelopes. Personalization on cards is two lines (up to 30 characters/spaces for first line; up to 34 characters/spaces for second line) in style and color shown. 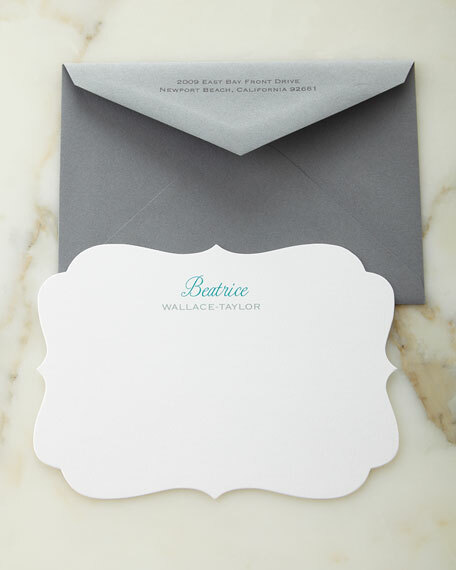 Set includes 50 personalized cards and 50 plain envelopes.